Presentations by independent expert speakers at the 10/11/2011 San Clemente City Council Meeting. Arnold Gundersen is an energy advisor with 39-years of nuclear power engineering experience. A former nuclear industry senior vice president, he earned his Bachelor’s and Master’s Degrees in nuclear engineering, holds a nuclear safety patent, and was a licensed reactor operator. During his nuclear industry career, Arnie managed and coordinated projects at 70-nuclear power plants around the country. He currently speaks on television, radio, and at public meetings on the need for a new paradigm in energy production. An independent nuclear engineering and safety expert, Arnie provides testimony on nuclear operations, reliability, safety, and radiation issues to the NRC, Congressional and State Legislatures, and Government Agencies and Officials throughout the US, Canada, and internationally. 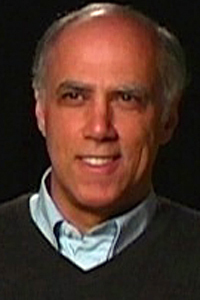 Daniel Hirsch is a lecturer in Nuclear Policy at the University of California, Santa Cruz. He is the former Director of the Stevenson Program on Nuclear Policy at UCSC. Hirsch is also President of the Committee to Bridge the Gap, a forty-year-old nonprofit organization working to reduce risks of nuclear accident, nuclear proliferation, nuclear terrorism, and problems of radioactive waste disposal. Shortly after the Fukushima accident began, Hirsch was asked to testify before the Select Committee on Earthquake and Disaster Preparedness, Response, and Recovery of the California Senate on the implications of the disaster for the Diablo Canyon and San Onofre reactors. 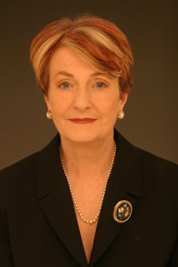 Dr. Helen Caldicott founded and headed Physicians for Social Responsibility. Caldicott currently splits her time between the United States and Australia and continues to lecture widely to promote her views on nuclear energy use, including weapons and power. She has been awarded 20 honorary doctoral degrees and was nominated for the Nobel Peace Prize by Nobel Laureate Lines Pauling. She was awarded the Lannan Foundation Prize for Cultural Freedom in 2003, and in 2006, the Peace Organisation of Australia presented her with the inaugural Australian Peace Prize “for her longstanding commitment to raising awareness about the medical and environmental hazards of the nuclear age”. The Smithsonian Institution has named Caldicott as one of the most influential women of the 20th century. 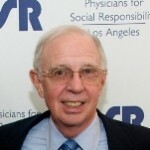 Dr. William E. Perkins is a retired pediatrician who served as member of the Board of Physicians for Social Responsibility (PSR-LA) for over 25 years and continues to serve as a Peace and Security Ambassador. PSR-LA is the local affiliate of the Nobel Peace Prize winning national organization, Physicians for Social Responsibility. Dr. Perkins graduated from Yale Medical School in 1968 and then did his pediatric internship and residency at the University Hospitals ofCleveland. From 1971 to 1973, he served in the U.S. Army as a doctor and was stationed in Anchorage, Alaska. He joined the Southern California Permanente Medical Group after the army, and became a partner in the department of pediatrics. He was the chairperson for the committee on Suspected Child Abuse and Neglect at the Kaiser West Los Angeles Medical Center and is a longtime mentor and voluntary faculty member at UCLA. Dr. Perkins came to realize that the gravest threat to children would be a nuclear accident or attack — this became personal when his own daughter was born. He has dedicated his career as an advocate for prevention. Dr. Perkins has organized locally in Southern California, and has represented PSR-LA across the nation and world through International Physicians for the Prevention of Nuclear War.